Throughout the Nazi rule of Germany, public officials and agencies were preoccupied with the moral and sexual development of its young people. The ideas of eugenics and racial identity were not new in Germany when the Nazis took power, but were embraced as dominant political ideology. Yet, by examining police records, reports and other documents, it becomes clear that the Nazis were unable to control the sexual activity of its teenagers, especially during the war. With the absence of parents, the presence of soldiers and young people joining the work force, in some cases sexual activity increased, both heterosexual and homosexual. 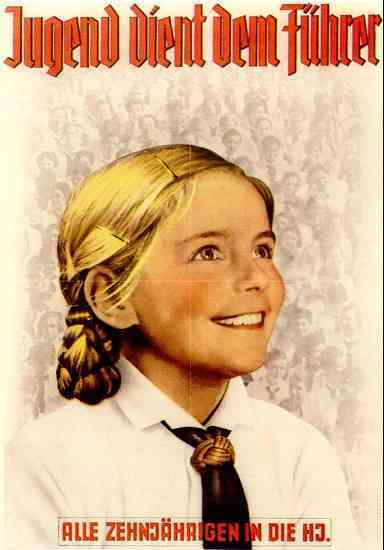 ---The Hitler Youth: meetings were held at night, resulting in teenagers roaming the streets alone; often teenagers would use these meetings as an excuse to parents to go out for illicit encounters. Some parents refused to allow their teenagers to attend, fearing for their children's virtue.